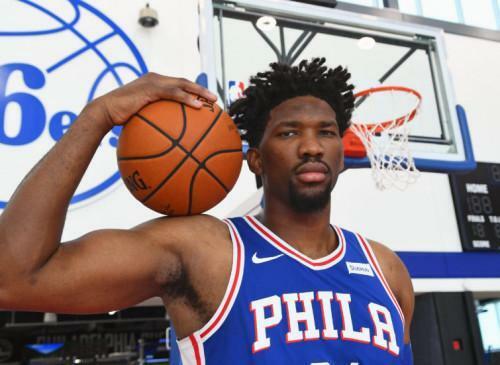 Camerounian Joël Embiid, a Philadelphia Sixers player with the American NBA team, has announced October 10 on his Twitter account, that he signed a contract with US equipment manufacturer Under Armour, Daily Nation revealed. That follows the expiration of his contract with Adidas that ran out on September 30. No detail was disclosed but, according to the U.S press, thanks to this five-year deal with the Baltimore-based company, which manufactures T-shirts and basketball shoes, Joël Embiid becomes the best-paid center of the famous NBA team. “Basketball has given me everything, but it has to be bigger than basketball. That was the first thing I said to Under Armour” said the 24-year-old player. “I want to use this partnership to do something real. I want to do something that would make my brother [Arthur, who passed away in a car accident in 2014] proud,” he added. As a reminder, on October 10, 2017, Embiid extended his contract with this NBA team by five years, for total revenues of $148 million (just over CFA82 billion). He said a large part of the amount will be invested in the Foundation managed by his parents in Cameroon. The same will apply to a significant portion of the revenue generated by his collaboration with Under Armour, which relies on the Cameroonian basketball player to impose this brand in the NBA.